Australia’s ‘unscientific’ quarantine regulations have denied much needed export markets for Pacific Island taro, a leading industry expert said in Brisbane this week. Fiji based Nature’s Way Cooperative Chief Executive, Mr Michael Brown told the International Horticultural Congress (IHC) Pacific Islander farmers were struggling to secure a market for locally grown taro, largely because of unnecessarily strict quarantine regulations imposed by Australia. “Strict and unjustified phytosanitary requirements of some importing countries, particularly Australia, contribute to the situation,” he said. Mr Brown said there was no scientific basis behind Australia’s top and tail removing regulations. “The efficacy of the current devitalisation procedures is questionable in terms of preventing spread of disease,” he said. Federal Agriculture Minister, Barnaby Joyce, recently said import protocols were in place to protect Australia while keeping trade open. “It’s important that we maintain our relative freedom from harmful pests and diseases but it’s also important that we… do not create trade barriers,” he said. However Secretariat of the Pacific Community’s, Ms Ana Buli said improving Fijian and Samoan taro exports needed a multi pronged approach. “Weak areas from farming to exporting will need to be fixed through collaboration between all stakeholders,” she said. 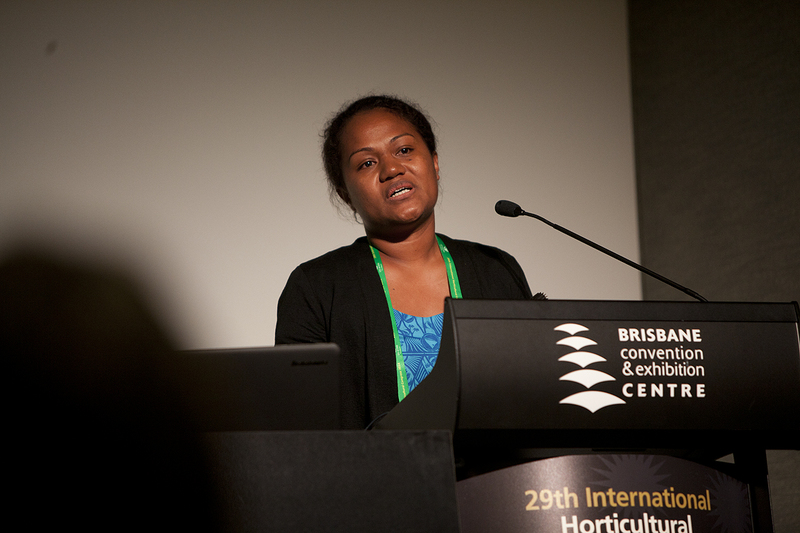 Ms Buli said working with local farmers was central in improving the quality and quantity of taro exports. “The best approach to improving the taro consumption would be to work with the farmers,” she said. Ms Buli told the IHC, her research group had conducted a number of treatment methods designed to improve the exportability of taro into countries such as Australia and New Zealand. She said the main focus of the research was to minimise the number of reject taro from export markets. “More taro consumption would mean lowers prices, increased quality and improved livelihoods,” she said.